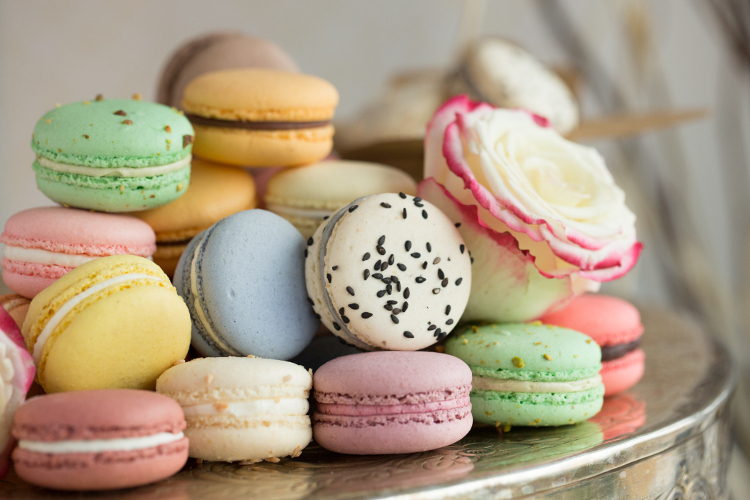 Gourmand Macaron & Pastries was formally established in January 2012. We make beautiful, elegant French macarons, right here in Vancouver. About Us - Gourmand Macaron has always tried to renew and perfect this traditional Parisian treat. We produced our first macarons in the Che Baba kitchen, proudly participating in the project of this new restaurant. After the immediate popularity of our pastries, we decided to expand Gourmand Macaron in order to offer delicious, colourful, and delicate macarons to even more gourmet clients. In October 2012, Gourmand Macaron established its own kitchen to meet the highest standards in pastries baking and responded to the growing demand for top quality macarons in Vancouver. About the Chef - Born in the early 80’s in the south of France, Gourmand Macaron founder Paulin Calot spent his childhood in the city of Aix en Provence. After graduating from law and business school, Paulin decided to explore new horizons and travelled to his dream destination, Canada. From there, Paulin explored the province of Quebec and the Rocky Mountains. The last destination on his journey was Vancouver, where he has resided since 2010. Paulin had discovered a spectacular and beautiful country and during the adventure, confirmed his passion for cooking and the finest gastronomy. Paulin was soon put in charge of the dessert menu at Cioppino’s Mediterranean grill, which is well known as one of Vancouver’s top fine dining restaurants. Since then he has decided to focus on pastries, and his desire to create the most beautiful and delicious macarons in Vancouver. His vision is to model each macaron as a unique jewel, and to craft the pastries into perfection.